One of the year’s big drinking holidays is this weekend. In response the Colorado State Patrol has stepped up drunk and high driving enforcement for the Labor Day weekend. The Heat is On is a statewide effort by the highway patrol and local law enforcement to get drunks off the road. The campaign includes more police cars patrolling the roads and in some cases traffic roadblocks where all or most drivers are checked for possible intoxication. APR's Roger Adams reports. Emily Wilfong is with the Colorado Department of Transportation. Wilfong says the efforts are paying off citing a downward trend in arrests for drinking and driving or DUI, driving under the influence. Last year over the Labor Day Heat is On sweeps she says there were about 13 hundred DUI arrests statewide. That was down from the previous year when there were 15 hundred arrests. The fact is driving drunk is not confined to the high drinking days like Labor Day, the fourth of July or New Years. “I’ll tell you in Pitkin County it is the number one traffic related concern I have," says Joe DiSalvo, sheriff of Pitkin County. He says drunk driving is a priority for his deputies. Already this summer in the mid-valley there have been two deaths on the road caused by drinking. A drunk pedestrian was hit and killed on Highway 82 near Basalt and a woman was killed at Catherine Store when a drunk broadsided her. A quick scan of current inmates in the Pitkin and Garfield jails finds a large number charged or convicted of driving high or drunk. Despite efforts like the Heat is On – the problem continues which raises the question – why not do something that really works. Why for example don’t police departments station cops out side bars…every night all year? Why not have roadblocks up all the time? Why not install interlock devices in all vehicles that require the diver to blow into a breathalyzer in order the get the car started? Sheriff DiSalvo. Still this idea is not unlike what happens everyday at every airport in the world – where everyone is in effect considered guilty until proven innocent by a body scan search. Like DiSalvo, Brad Osborn says the tradeoffs between safety and liberty, are not worth it. Osborn is a state-certified addiction counselor. 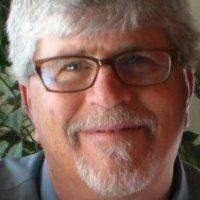 He has a private practice in Basalt providing addiction counseling, assessment and intervention. While creating a police state to stop drunk driving might actually work the costs to freedom would be high and, says Osborn, not really prevent the worst offenders – alcoholics and addicts. 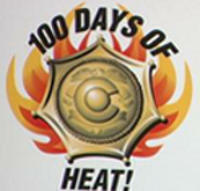 Osborn supports programs like the highway patrol’s Heat is On. He says the high profile enforcement will likely stop a casual drinker from driving. Ultimately, as addiction and alcoholism get more attention as a public health problem more and more alcoholics will seek treatment and more and more their friends and loved ones will get bolder about intervening. RFTA, tipsy taxi, call a friend or call a cop…or drive drunk, get arrested, thrown in jail, pay lots of money for court costs and higher insurance rates…or worse, kill someone. Its really up to you.